Arguing that federal policies have made paper money “virtually worthless,” Arizona lawmakers are moving to allow residents to invest in gold coins and not have to pay state taxes on any profits they make when they sell them. Steve and Tana Smith have agonized over their son’s death for seven months. They want one question answered, but it’s an answer that will never come. A Republican lawmaker wants to change the state’s sexual abuse statutes in response to an Arizona Supreme Court ruling that raised questions about whether parents changing a baby’s diaper could be charged with molestation. Attempting to preempt a committee hearing on a package of legislation aimed at overhauling the people’s ability to enact laws, critics took to the Senate lawn to blast the “coordinated attack” launched by Republican lawmakers and the Arizona Chamber of Commerce and Industry on the Voter Protection Act and the initiative process. State lawmakers took the first steps this afternoon to asking voters to hike what they pay every time they fill up their cars and trucks. The sponsor of legislation to weaken “Shannon's Law” agreed Tuesday to stop trying to allow people to fire off guns in the city within a quarter-mile of any residence. Saying it will lead to greater continuity, more stability and less campaigning, the president of the Arizona Senate wants four-year terms for state lawmakers. But not for everyone. Just senators. Despite one lawmaker’s protests that if age 18 is old enough to go to war, it’s old enough to smoke, a House committee gave preliminary approval Thursday to a measure that would raise the legal smoking age in Arizona to 21. 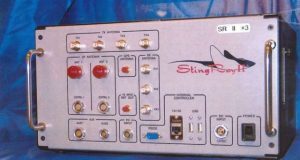 Mia Garcia, spokeswoman for the Attorney General’s Office, said the legislation her agency crafted will make it clear in statute that state and local police are required to get a search warrant before they use devices like a “StingRay,” which can hone in on individual cell phones. And she said the “modernization” of existing laws is good for Arizonans. Saying it would help keep underage kids from getting cigarettes from 18-year-old high schoolers, Republican Rep. Paul Boyer wants to raise the legal smoking age to 21.